The objectives of this consultancy is to design and produce a catalogue of toilet and handwashing options that would be used by both householders and a range of personnel including government extension workers, village volunteers, retailers and artisans. The catalogue would enable them to disseminate accurate information on the options available and the approximate price range of those options, so that the people living in the rural and urban communities are aware of the availability and the actual cost for installing an improved latrine. The Ministry of Health, Community Development, Gender, Elderly and Children (MOHCDGEC) has been implementing the National Sanitation Campaign (NSC) and promoting the use of improved latrines since 2012. The campaign uses a mixture of approaches such as Community-Led Total Sanitation (CLTS) and behavior change communication. These activities have been conducted to increase the awareness` and demand for sanitation. However, the generation of demand must be coupled with increased supply to meet the demand. Villagers living in rural areas often face some challenges due to the lack of information on the available types of latrine and handwashing products that might be affordable to them. A catalogue of toilet and handwashing options with price information would address this issue. The catalogue would be useful to both householders and a range of personnel including government extension workers, village volunteers, retailers and artisans. For this latter group, the catalogue would enable them to disseminate accurate information on the options available and the approximate price range of those options, so that the people living in the rural communities are aware of the availability and the actual cost for installing an improved latrine. For this reason, on behalf of the Ministry of Health, Community Development, Gender, Elderly, and Children (MOHCDGEC), UNICEF is seeking proposals for a consultancy to prepare the toilet options catalogue. A description and images of the five most common improved toilet options found in rural Tanzania as well as an indication of their approximate price. Each toilet option should be described in words (including size dimensions) and images in terms of its component parts relating to the superstructure, slab, pan, and sub-structure. Each component should be further broken down into individual parts, approximate quantities and materials with both images and approximate pricing information. The design should be such that the catalogue can be folded down to pocket size for ease of use. The specific size to be determined after consultation with the UNICEF and MoHCDGEC, however it is expected to be between A3-A2 size. The catalogue should be designed in a way that it can be easily understood by the intended audiences, especially householders who may not be familiar with the component parts of an improved toilet. 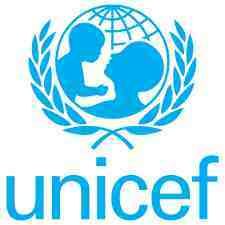 The consultant will be expected to work closely with the MoHCDGEC (Assistant Director, Environmental Health Services) and UNICEF to co-create the catalogue content. The consultant should work with a graphics consultant and/or company to ensure that the visual presentation of the content is based upon knowledge of marketing and advertising to ensure visual appeal and acceptability to the audience of both the hardcopy and .pdf versions of the catalogue. The main target audience are expected to be decision makers at the household levels, especially (but not limited to) those who currently do not have an improved sanitation facility at their household. To fulfil these objectives, a few travels including at least 2 travels to Dodoma and several travels to rural communities for field testing are expected and advised to be included in the budget proposal.